A local flight school has been certified by the Federal Aviation Administration (FAA). The FAA provided Aviation Adventures with Examining Authority for three courses – Instrument Rating, Private Pilot (Single Engine) and Commercial Pilot (Single Engine). Aviation Adventures is based out of the Manassas Regional Airport. 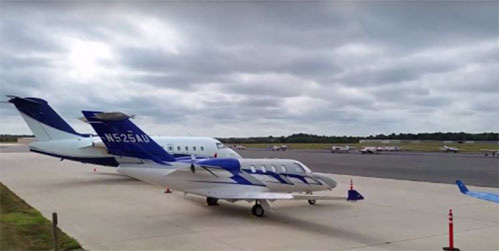 The flight school is also offered at the Leesburg Executive Airport, the Warrenton-Fauquier Airport, and the Stafford Regional Airport. With Examining Authority, Aviation Adventures can provide graduates with Pilot Certificates at the end of the course, according to a release. It eliminates the need for flight school students to take a checkride with an FAA examiner, which takes time and can be expensive. The FAA offers Examining Authority to flight schools that have at least a 90 percent first-time pass rate. The first-time pass rate for Aviation Adventures exceeds 95 percent. Seven flight schools nationwide have been awarded with Examining Authority.